What Does a Non-Life Contingent Annuity Mean? Retirement accounts with tax benefits typically limit the amount you can contribute each year, but insurance companies offer tax-advantaged products called annuities that don’t have strict limits on contributions. You can fund an annuity with a series of payments or a single lump sum that grows tax-deferred in investments until you start taking cash from the account during retirement. Money you receive from an annuity may be fully or partially taxable upon withdrawal. An annuity is a financial product that can be held inside of other types of accounts. If you have a 401(k) plan at work or an individual retirement account, for example, you could open an annuity within your retirement plan. When you use pretax money to buy an annuity, such as 401(k) contributions or tax-deductible IRA contributions, payouts from your annuity are fully taxable as ordinary income in the year you receive the funds. 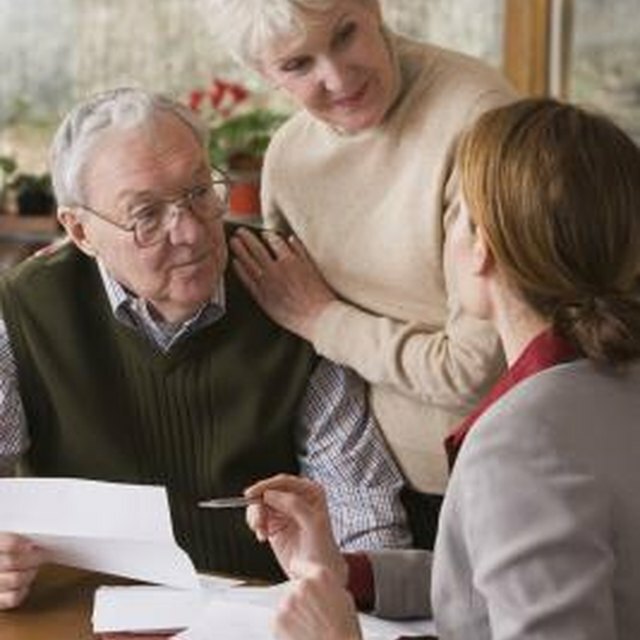 Distributions from annuities are reported to you on form 1099-R. According to the IRS, you report your fully taxable annuity income on Form 1040, line 16b. Retirement plans like 401(k)s and IRAs already offer tax deferral on investment gains, so holding an annuity inside another retirement account does not yield any additional tax benefits. Buying an annuity with after-tax funds can allow you to gain tax deferral on money outside of other retirement accounts. Payments you receive from an annuity purchased with after-tax money are partially taxable: You owe income tax on investment gains upon withdrawal, but you don't pay income tax on the portion of the payments you receive that represent a return of your original investment. With partially taxable payments, you report the total amount of your payments on line 16a of Form 1040 and the taxable portion of the payments on line 16b. Payments you receive from an annuity before age 59 1/2 are considered early distributions. Early withdrawals from an annuity are subject to a tax penalty of 10 percent in addition to the normal income taxes that apply. The penalty applies only to the taxable portion of annuity payments, so money that represents a return of your after-tax contributions is not subject to the penalty. Is an Annuity Taxable Income if You are the Beneficiary? How Are Gains Taxed in Non-Qualified Annuities? You are not responsible for paying the 10 percent early withdrawal penalty if you take cash out of annuity in certain special cases. Situations where you are exempt from the penalty include withdrawals made in the event of a permanent disability or death or made as a series of payments for your life. If your annuity is part of an employer-offered retirement plan, early withdrawals made to pay tax-deductible medical expenses are not penalized. CNN Money: What Is An Annuity?